There is so much we can do with all the plastic PET Coke bottles that we throw away. With this project, instead of buying wrapping paper for a gift, we reduced our carbon footprint by recycling a used 2l plastic Coke bottle. Recycling uses a lot of energy and resources, so the more we can upcycle rather than recycle, the better for our environment. 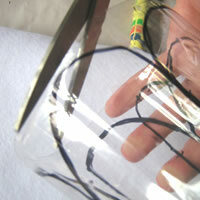 Of all the soft drink bottles, Coke bottles in particular make excellent materials for upcycling. In this craft we can only use Coke bottles, as no other soft drink bottles have the vertical grooves that will enable the flaps on the gift box to snap closed. Follow our easy step by step instructions to make your own recycled Coke bottle goft box. Remove label & cut off the top section of the Coke bottle just above the bottom section where the label was. 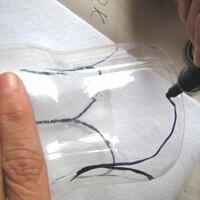 Draw archways from one groove, over onto another groove & down another using your marking pen. The groove that gets left in the centre of the panel is what makes the gift box snap closed & stay down. Essentially you will be drawing a straight line up one groove, then curving it with the peak of the curve on the next groove, and then straight down the next groove. Cut out your arches with a strong scissors. You might need to cut the walls that go down to the part where your two archways join a bit wider so they don't catch onto each other when you try fold them closed. You need to cut all your arches to the same height. This helps to keep the gift box closed naturally. 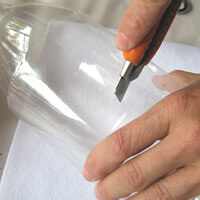 When cutting down, it is important to make sure that you stop cutting before the bottle starts to taper out, otherwise the flaps will not stay down. 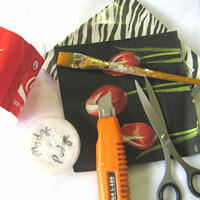 Choose a serviette that you like to use to decorate your coke bottle gift box with. Separate the two parts of tissue so you only have the printed sheet. Place your serviette around the gift box to plan how you would like it to look. 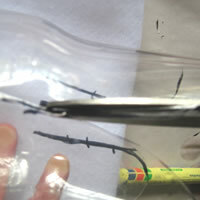 Start painting modge podge onto the serviette which you should be holding against the Coke bottle with one hand. 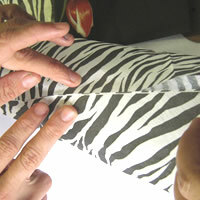 Now very gently apply the modge podge as the serviette is easily torn! Make sure you cover the entire area of the Coke bottle with modge podge! 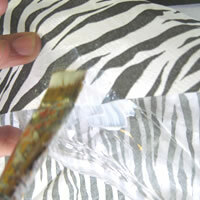 Paint directly onto the tissue paper and the glue will soak through and glue itself to the plastic. Let the Coke bottle stand on its arches & leave it to dry for 3 hours. 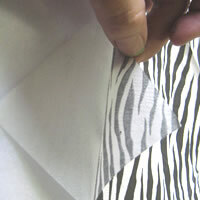 When it is dry you can cut away the excess tissue paper with a scissors. Your beautiful Coke bottle gift box is now ready for use! 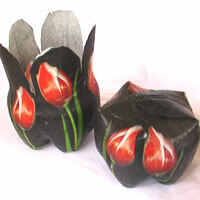 They also make wonderful and protective tea light holders for the garden or patio.